So my lovelies its been some odd days since I've posted anything, and today I'd like to share my Instagram frustrations! I've been posting more frequently, not much but a whole heck of lot more than I had been and I have one issue... HASHTAGS! 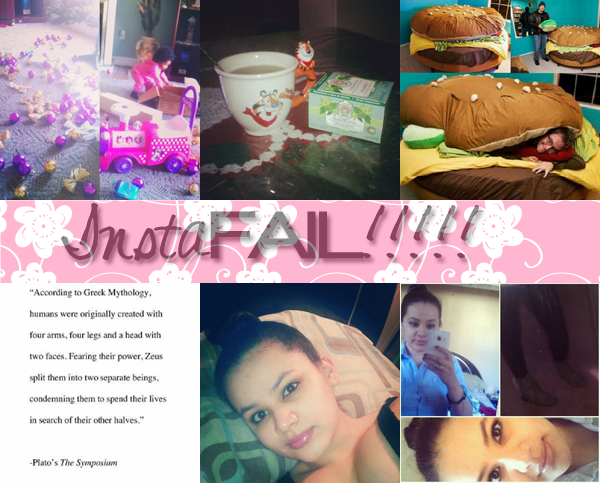 I don't know if its an android user thing, or just my model but my captions/hashtags never show up! When I first started "instagraming" everything worked fine, I would get a good amount of likes and such due to the hashtags. Now that they don't work I don't think anyone sees my pictures! Granted my following is small, so the hashtags were a good way so others could see, but now that they don't work I've been hung out to dry! If it my captions worked I'd probably be more enthused about the app, and take more snapshots.... As they don't work I feel like a sitting duck. Perhaps this is one of the many signs that point to me getting a new phone!? Who knows! I've recently changed my name on Instagram as well, TIBdalia, seemed more fitting for my blog! Give me a follow! How do you guys like Instagram? I'd love to follow fellow bloggers! Let me know your thoughts, complaints and such! I love looking at people's instragram pictures but I never really post any myself. I think I must be one of the only people I know that isn't obsessed with it haha! Also that greek quote is SO cute! I don't know what's wrong! Thank you for following! I tried googling it... I found no resolution :c thank you though! I think it's maybe an Android thing. I have an iPhone and my hashtags work fine. I hope you figure it out soon!